Live Nation today announced that U2 will return to select stadiums this year with U2, including CenturyLink Field in Seattle: The Joshua Tree Tour 2017, in celebration of the 30th anniversary of the band’s classic album. The concert will will include a performance of The Joshua Tree in its entirety, with support from Mumford & Sons. U2 The Joshua Tree Tour will appear in Seattle at CenturyLink Field on Sunday, May 14th. Tickets on sale Tuesday, January 17th at 10am. Released to universal acclaim on March 9th 1987 and featuring hit singles “With Or Without You”,“I Still Haven’t Found What I’m Looking For,” and “Where The Streets Have No Name”, The Joshua Tree was U2’s first #1 album in the U.S., topping the charts globally including the U.K. and Ireland, selling in excess of 25 million albums worldwide, and catapulting Bono, The Edge, Adam Clayton, and Larry Mullen Jr “… from heroes to superstars” (Rolling Stone). Time Magazine put U2 on its cover in April 1987, proclaiming them “Rock’s Hottest Ticket” in a defining year for the band that saw their arena dates roll into stadium shows to accommodate escalating demand – setting them on course to become one of the greatest live acts in the world today. 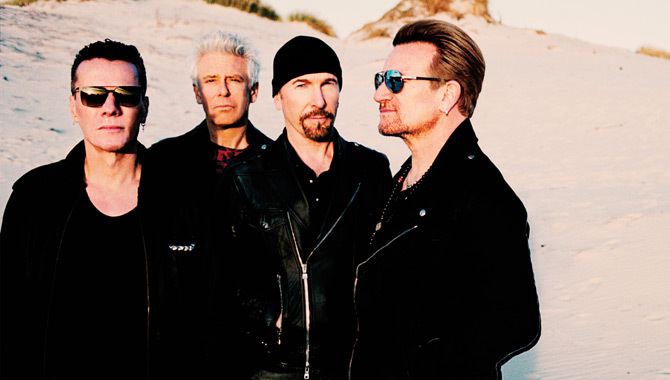 The 12 months that followed saw the band create now-iconic moments: the traffic-stopping Grammy Award-winning music video on the roof of a Los Angeles liquor store, winning a BRIT Award, and two Grammys – including Album of the Year – their first of 22 received to date, distinguishing U2 as the most awarded rock band in Grammy history. U2’s fifth studio album, The Joshua Tree, was produced by Brian Eno and Daniel Lanois, and featured iconic artwork which cemented the career of photographer and director Anton Corbijn. Recording took place in Dublin at Windmill Lane Studios and Danesmoate, the house which subsequently became bassist Adam Clayton’s home. Tickets for the Seattle concert will go on sale Tuesday, January 17, 2017 at livenation.com and all Ticketmaster outlets.